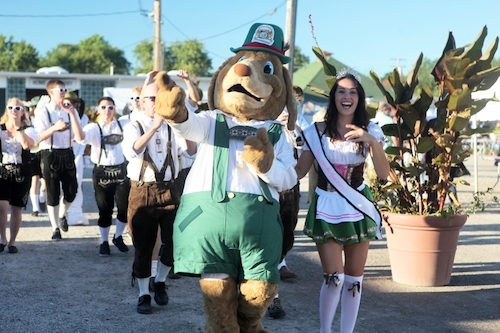 On the list of Autumn traditions, drinking beer and eating bratwursts at the Cleveland Oktoberfest ranks near the top along with the leaves changing color and cooler temperatures. 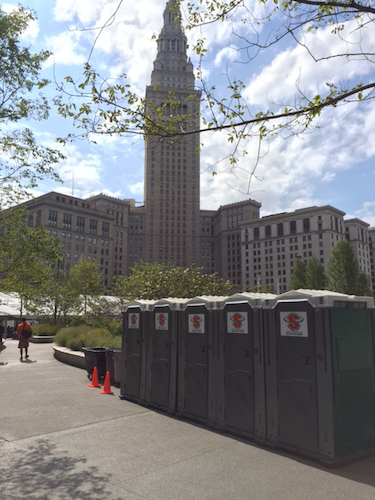 That's why we were proud to provide portable toilets at the 2016 Cleveland Oktoberfest hosted in the newly renovated Cleveland Public Square this past September. Our knowledgeable sales and planning staff worked with Oktoberfest organizers to optimize the amount of porta potties available as well as their placement. Restroom accessibility was a big part of the event's success due to the large amount of alcohol consumed by Oktoberfest attendees. Superior Portables delivered & set up the porta johns before the weekend's festivities began and picked them up the morning after they ended with no hassle for event organizers. Take a look at some event pictures and let Superior Portables provide restrooms for your next event.